Saltmarshes and in crevices of rock on rocky sea shores. Frequent around the coast of Co. Down, rarer elsewhere. This plant is recorded at two sites on the Lough Neagh shore at Toome Bridge and the mouth of Six Mile Water, but it has not been seen at these sites since 1917. 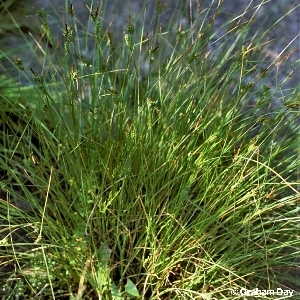 All names: Carex extensa Gooden.